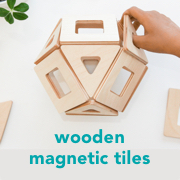 Often we can create Montessori style activities using materials we already have in our home. This one is super simple but really engaging. If I want to create a new activity for Otto I will think about what he likes doing and have a look around the house to see what I can find. Otto is currently loving his open close tray so why not add an activity which involves matching lids to their containers. I love this one (above and below) as the jars are exactly the same except for their size. They are glass so he knows he needs to handle them gently. The control of error is that only the correct lid will fit. At almost 15 months it's not too hard and not too easy. I've previously used this one (below) with Otis. Again there are three containers in different sizes. This one is a little harder as the lids are more difficult to put on and take off. All this activity requires is three (or more for an older child) containers with lids, in different sizes. The lids should be relatively easy for the child to get on and off. A quick look around the kitchen and I hope most families would be able to find something suitable to use. If the activity engages the child I am pretty happy. Here Otto is learning about visual discrimination. He is also developing coordination, hand and arm strength and concentration. With the glass jars he is also refining some of his movements to make as less noise as possible. Above is Otto's open and close tray. I've recently reduced the number of items in it. He has a zipper pouch, flip top tin, a simple screw top round tin and screw top jar. The best thing about activities like this is they are entirely developmentally appropriate and use materials we already have at home. Ribbon - in red and green colours. Large Christmas Bells - we have three in red, white and gold and they each make a different sound. Montessori Infant Bells - bells ringing sound Christmasy to me. Small Christmas Tins - we've found these empty in a cooking supply store and other cute tins with chocolates in them at the supermarket (remove the chocolates before putting them in the basket), if it is easy to open this will also be a lovely open and close activity. Mini Playsilks - in red or green. Large Child Safe Christmas Ornaments - not many ornaments would fall into this category so be careful, we found a large Santa Bell Ornament that I am comfortable putting in ours. Fluffy Christmas Socks - for a nice warm texture! Paper Gift Tags - I like the different colours and shapes the card gift tags have. Red Chunky Tweezers - just because they are a little interesting and in red. Soft Toy Reindeer - this is the least Montessori item in this basket but it doesn't have a home elsewhere and it is nice and soft to play with. Dried Orange Whole - at this age I still prefer whole oranges to dried orange slices. I feel it is important to include a wide range of items with different sounds and textures. Treasure Baskets should be used under full supervision and I look over each object as we put them away, just to make sure they are still safe and aren't broken. I always try to find things around the house to put in the Treasure Baskets, the kitchen is always a useful place to look. Often it's those household objects that will interest the child the most!! Christmas Treasure Basket Sensory Play for Toddlers at Little Bins Little Hands. Christmas Treasure Basket for Toddlers at the Imagination Tree. Montessori Christmas Activities at Our Montessori Home. Treasure Bin: Christmas at Wildflower Ramblings. Christmas Activities for Infants at Montessori Nature. I've written about Forest Schools previously but I want to give a little update since my knowledge and experience with Forest Schools has grown since living in the UK. Both of my school-age children go to Forest School once a week. Caspar (11 years) also goes to Forest School Club (an after-school club) once a week. Otto (14 months) has started attending a Forest School toddler class. Attending Forest School with Otto has been an eye-opener and I've learnt so much about the process. Otto's class is for 1-3 year-olds, so he doesn't play or mix with the other children very much (still at parallel play) but he loves the class; he splashes in the mud, runs around and squeals with delight. We couldn't be happier. So as a Montessori family why have we chosen a Forest School class and what's so good about it? Here are a few things you need to know about Forest School. Forest Schools are a real thing, it isn't just a playgroup in the woods or bushcraft. Forest School practitioners are trained and accredited. The Forest School Association has 46 registered Forest School Providers in the UK and over 10,000 trained practitioners. Montessori Forest Schools also operate in the UK combining the philosophies of Maria Montessori and Forest School. Forest School is child-led. I didn't really understand this before. We are not talking about the children just having lessons in a woodlands setting, the whole Forest School philosophy is based on child-led learning. Otto's toddler class is very much like a Montessori toddler class in that there are activities around the environment that he can choose to do, or he can choose to do nothing. There is freedom within limits, he can sit and throw mud, but he can't throw mud at another child, he can run around the woodland but must stay within the marked area. So he chooses what to do and when. For older children, the learning is often project based. Children learn by doing. Forest School practitioners offer lessons in a similar way to Montessori teachers, they will show the child how to do something and then allow the child to have a go. It is 100% hand on. Activities are age-appropriate meaning the children are always able to participate. Independence and risk-taking are valued. Both also exist in the Montessori classroom in a very similar way. At Forest School children and given the skills and knowledge to further their independence and to take appropriate risks (also conduct their own risk assessment). Children are taught to use (real) knives and to build and light fires. Children are allowed to climb trees and swing on rope swings, build with branches. Children use real equipment, like wheelbarrows, knives, ropes, nets, pulleys. There is no wrong way to play. I've been to a lot of toddler classes. I loved our toddler music and gym classes but I was constantly trying to cajole my child into doing the next activity or keep up with the rest of the class. Even with toddler swim classes, I felt the pressure to make my child perform or made them give up toys they wanted to keep playing with. At Forest School, there is no wrong way for the child to play, no toys to give up, no rush, no activity to move onto. At Forest School children can't be too noisy, too loud or move too much! There is no such thing as bad weather. The only week our Forest School doesn't operate is the week of Christmas. There is shelter if it is raining, and the children layer clothing to stay warm, have warm drinks or huddle around the campfire if it's cold (and it gets cold). Every school we have been to has a weather policy when it's often too cold, too hot or too wet for them to play outside. I love the 'no such thing as bad weather' approach and feel it has the child's interests at heart. The outdoor environment is everything. I believe children including toddlers are not getting enough outdoor nature play. I see the benefits in my own children. They are calmer, sleep better, make better decisions are more creative and patient when they've had adequate time outdoors, I think there is something to the Forest Bathing approach too. Obviously attending Forest School gives them more time outdoors but it also builds a connection to nature, the children are in close contact with plants and animals but also fire and water. Forest School has a lot of other benefits that I hadn't thought of previously like strengthening communication skills, fine and gross motor development, early science and maths. It teaches respect for our environment and for each other. I believe that Forest School is suitable and even desirable for Montessori families. Please note that I am a parent and not trained in the Forest School philosophy, this information is provided on my personal experience only. Forest Schools may vary and I suggest visiting or trying out a local Forest School to form your own opinion. Montessori Forest Schools - Best of Both Worlds? at How we Montessori. Learning outdoors: growing explorers, not robots at Positive News. What Happens At A Forest School at Forest Schools Education. I'm not great with mess. I do everything I can to avoid it. But if you have a toddler it is inevitable. The key for me is to know what is true mess and what is the child's work or play and to contain the mess as much as I can. For outdoor play have a transition area - this can be the mud room, front porch or entry-way. A tray for muddy rain boots (wellies) is a good idea as well as a small chair for the child to sit on and a basket or hook for coats. We also have a plastic bucket in this space in which we can place any soaking wet or really muddy clothes or coats that need to go straight into the wash. It depends on the weather and how much wet/muddy play your children enjoy but a small hand towel might be a good idea in this area too. For baking use an apron - this is so hard for us right now, Otto often doesn't want to wear an apron but it's worth persevering. For art consider using an art apron or waterproof smock - for activities like painting, we currently use a full arm-length smock that goes right down to the wrists and has a close neckline. It is easy-clean and (so far) stain resistant. It depends on the activities you do, currently our art smock needs to be waterproof but for older children, a cotton art apron might work ok.
For really messy outside play for toddlers and preschoolers look for an all-in-one coveralls or splash suits (in the UK I like these). It will protect their clothing and still allow them to be involved and participate in muddy, wet or dirty play. Look for natural but washable art materials and supplies. It's not fun after allowing the child to use finger paint to find it has stained their hands, arms, face and clothing. There are a lot of washable art materials for toddlers from paint, fingerpaint to markers and even washable stamps and stamp pads. Allow enough time for clean up - for us, this often means allowing 20-30 minutes after painting or outside play for a bath. In the bathroom I always have a small stack of clean face washcloths within the children's easy reach (even for the toddler), this allows them to spot clean or wash their faces themselves. As much as possible allow the child to work at their own pace so allow extra time, it might take me five minutes to clean the table and sweep but it might take a toddler 20 minutes. For water play always have more towels nearby than you expect to use. Keep them within reach too, I don't want a toddler slipping over while I run off to get the towels. For really messy arts and especially for toddlers work outside or in the kitchen (on tiled or easy to clean flooring). Outside is often a good option to get the benefit of outdoor play but isn't always possible. For lots of practical life work the key is to do it more often. This is the same with self-feeding and activities like pouring a drink from a pitcher or water dispenser, baking or chopping foods. The more often the child does it the more likely they are to master the skills sooner and make less mess. I hope most families will make activities like this an everyday occurrence or maybe even multiple times a day. For children's tables look for non-absorbable easy-clean table surfaces or consider a wipeable tablecloth (perhaps laminated) for art areas, it will prevent staining on wooden table surfaces and make clean up easier. Otherwise sealing the wooden table surfaces might help. As much as possible involve the child in clean up - this may help to contain or reduce the mess in the future as the child may be able to make an effort to make less mess next time and be aware of exactly how much mess they make. It helps to have some child-size tools available like a small broom, dustpan, mop, perhaps a hand-held duster buster type device. Supervise. With three children this is really important. I know what mess is acceptable and I always keep an eye on the kids to make sure things don't get out of hand. I (of course) allow them to have fun but wouldn't leave three of them alone with a lot of paint or paint/permanent markers for example. Allow the child to do their work in a tray. For Otto especially this helps him to contain his work. When he plays with playdough he likes to tear it into little pieces, so it's easier for him to work in a tray. Often when he is cutting, using a slicer, I will help set the work up in a tray. I like the white melamine trays with a low edge, the edge is important but not too high so that he can still easily reach inside. Keep cleaning materials in the child's workspace - for example a small sponge and spray in the child's kitchen area or a bin near the child's art shelves. Observing the child working and cleaning up will allow you to know what materials are required. We don't want mess or the fear of mess stop us from working and playing with our children. We also shouldn't (I am so bad at this while baking) interrupt or break the child's concentration to clean or start tidying up while the child is still working. While some families are just messier or can tolerate mess better, it is important that children know how to clean up (the skills and steps required) and that we need to clean up in order to take care of and respect our home, our materials and each other. Otis has been growing mushrooms (and beans) it's - been fascinating to observe the mushroom's entire life cycle. This is a gorgeous poetry book that we have been enjoying. I Am The Seed That Grew The Tree. I noticed this really simple craft at Otto's Forest School class and wanted to make them with the older boys. It's best done with willow which is a little more pliable. But ours worked out well (mostly! ), we are calling ours Christmas stars and have them in a jar on our window sill. We love using open-and-close baskets (a basket with containers that can be open and closed). For a younger child we can use easy to open containers like those with a flip lid and later more difficult containers like jars with screw lids. We like to change the containers fairly regularly, sometimes weekly, to keep it interesting. Otto has been wearing the Grovia training pants but is ready for something easier to get on and off, so we are going to try the Green Sprouts (organic) training pants. Wish us luck! Otto is really enjoying lots of posting, pushing, threading, and 'in' and 'out' activities. These activities are easy to make using household items or a few easy-to-find toys. Above is a container that I put a hole in the lid and some paper straws cut in half. This is an activity that he loves and is probably his favourite right now. It takes a bit of practice but the idea is the child using coordination and concentration inserts the straws into the lid of the container. The hole is only just larger than the straws so it requires the child to push the straw in. I always try to take the labels off the containers I use, or cover them in brown paper, the labels can be a bit busy and a distraction. With all of these activities repetition is key, you know it is the right level for the child if you see them going back to it over and over. These are little wooden peg and cups. Ideally, at this age, they would be natural/unpainted. Later these painted ones could be used for colour matching. This is always a favourite. Matchsticks or even craft sticks (paddle pop sticks) and playdough. Otto is really into playdough and has finally stopped trying to put it in his mouth. He loves to push and poke the playdough with his fingers and tear it into little pieces but he also likes to put the matchsticks into the playdough. It's lovely to see that pincer grasp developing. Pipecleaners into the holes of a small colander. I cut the pipecleaners in half as he couldn't do this with them full length. Matchsticks in a cheese shaker. I'm sure you've seen this one here before, another favourite. So good for their developing coordination. This is the Galt Pop Up Toy. The child pushes the peg down and it springs back and pops up, then the child puts the peg back into the hole and starts over again. Otto finds it really amusing! This a little peg toy but is fantastic for visual discrimination, one peg is larger than the other. Otto has had this one his shelves (on and off) for months. We also love the Grimms Peg and Boat, this rocks so is a little more difficult. There are a lot of ways these activities can be adapted, using what you have around the home. Matchsticks, craft sticks, poker type chips are all great for threading into holes in containers, lids of jars or even card boxes. I know that most of these activites will be popular and well used for many months. There are also a few Montessori materials that are useful at this stage including Montessori Imbucare Boxes and Coin Box. You can see our DIY coin box here. Sensitive Periods at 14 months? Otto is now 14 months old and I'm wondering what are the areas he is in the Sensitive Period for? Sometimes it's really obvious such as his need for movement, but other times if we are not watching and observing carefully it's easy to miss the important sensitive time for learning, like for toilet awareness. "They go through a very specific and well-defined periods of interest in certain areas of their development. For example there is a period of intense absorption with order, another for language, and another for learning to walk. During each of these time frames, varying in duration from months to years, the child is so focused on the particular development that he will ignore other phenomena previously of great interest to him. His energy level and dedication to his single-minded task are extraordinary but terminate just as abruptly as they began. 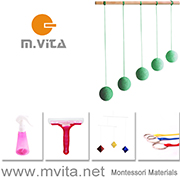 Montessori called those intervals Sensitive Periods." - Montessori From The Start. Language (Birth - 6 yrs), the sensitive period for the spoken language is 7 months - 3 yrs, writing around 3.5 - 4.5 yrs and reading around 4.5 - 5.5 yrs. Order (12 months - 3 yrs). Personal Care (12 months - 2 yrs), with the sensitive period for toilet awareness is 12 - 18 months. Movement (Birth - 2 yrs) for fine and gross motor, 2 yrs + refinement . Small Objects (12 months - 3 yrs). "We also need to follow nature's plan, as represented by the Sensitive Periods, for the child's self-formation. We cannot determine arbitrarily at what age a particular challenge is best dealt with - such as toilet awareness, for example. There are optimal moments for each human skill in personal care. If we familiarize ourselves with the developmental stages of childhood, we can find those moments, and thus cooperate with the special energies of childhood - instead of finding ourselves pitted against them." - Montessori From The Start. My approach to Sensitive Periods is simple. Be aware of the Sensitive Periods and when they are likely to occur. Identify and recognize when the child is in the Sensitive Period. Provide a prepared environment including space/room, materials/activities and parent/adult that meets the need of the child. For example, provide a space for movement or activities that include small objects. Keep on observing and adapting. The Sensitive Period is the optimal time for the child to acquire a specific skill or knowledge but most of all it's about meeting the child's developmental needs. A child who has their developmental needs met is happier, calmer and more settled, may be able to concentrate for longer - that's what I'm aiming for! While visiting Isle of Wight over the weekend I found this gorgeous book, If I Were A Whale. It has all the things I love in children's books, it is rhyming, has beautiful realistic illustrations, it's factual and it's just wonderful. It is perfect for toddlers, the language is simple but it is also educational, it actually tells you a little about each kind of whale. It's the best board book I've found about whales, we really love it. Another new board book that we've been reading is A Picnic with Monet, it's from the Mini Masters Series. It's not as engaging for toddlers, I find at this age they like books about animals or transport, but as it contains images of paintings by Monet, it is really beautiful. I didn't know before ordering, it has a short story, that almost talks you through the paintings, it is brief but I just want to mention that it does have words. It's like early art appreciation and it's worth having in our collection! The Little Book of Garden Bird Songs is a new board book that we are enjoying. However, we've had The Little Book of Night-Time Animal Sounds book for a while and for toddlers - I actually like it better. The Little Book of Night-Time Animal Sounds has a variety of animals like fox, hedgehog, owls and they are easy for the young child to tell apart. The Little Book of Garden Bird Songs contains only birds and for the toddler, they are difficult to tell apart. You still have birds like the crow and robin which are very different and it's still a very educational and entertaining book. With this series all the animal sounds are real and the images are all photographic. I believe the birds in this one are British, US readers might prefer The Little Book of Backyard Bird Songs which contains birds from North America. Kids love lift-the-flap books but I've struggled to find one that I like. This book (Otto is reading below) is Who's Hiding on the River? It has too many words for Otto (14 months) to sit through but he loves to look under the flaps and I will often read the facts on the back of the flap. It includes lots of interesting animals like beavers, otters, coots, and newts. I love that it contains lots of facts that are fun and useful. It has 2-3 flaps on most pages so it's very interesting/entertaining for children to sit and look at! Waldorf Style Board Books for your Montessori Child. Five New Nature Board Books - for Babies and Toddlers. Otto has started to do this really funny thing, he is picking all sorts of things up and putting them in the bin. Sometimes it's rubbish but sometimes it's Otis' school work and sometimes it's his own toys. I am sure he is in a transporting schema. Montessori talks about sensitive periods and I see schemas as being very similar. A schema is a pattern of behaviour that some children regularly display to help them make sense of their world. Children explore schemas differently but we can help our children by noticing and acknowledging when they are in a schema. Provide loose parts. Loose parts are perfect for collecting, stacking, carrying and dumping. You can see some of our loose parts here. Consider loose parts for outside. The child may even find their own. We love little piles of pine cones and seed pods. But we also have a set of blocks for outdoor play and often Otto will walk around with the different blocks and make piles. Leave out the walker wagon. Even though Otto is walking we leave out the walker wagon as this is perfect for transporting items. Children often enjoy pushing it around long after they have learned to walk. If you have them provide items such as a child size wheelbarrow (for outdoors), a small trolley/pram/strolley/cart for the child to transport things in. There are also little wagons that the child can pull behind them that serve the same purpose. Provide small baskets, small buckets or a small bag in play areas. Otto has a cute messenger bag that is perfect for collecting and transporting. Encourage the child to put things away - rubbish in the bin, compost in the compost bin, dirty laundry in the laundry hamper. If the child has a pile of clothes to put in the laundry hamper it can really help to satisfy this transporting need. They can also transport clothes from the hamper to the washing machine. Encourage the child to pick up toys and materials. Things like collecting blocks and transporting them back to the block basket, or collecting playsilks and transporting them back to the basket. Encourage ball play. Otto loves to throw or push the ball and then chase it, over and over. Take regular nature walks but allow the child to stop and play - and pick things up (safe items like small sticks, rocks etc). If you have a sand pit provide little diggers, buckets or shovels. Remember not to prevent transporting, sometimes this can involve a child dumping and then picking things up again, like dumping a basket of blocks and then picking the blocks up again. Otto will also walk around carrying things like his little broom, he isn't sweeping just transporting! For older children, the transporting schema can involve moving things with their hands and providing things like scooping and transferring work can be helpful. The Importance of Schemas in Every Child's Learning at Community Playthings. We only want a few materials out at a time, so the child isn't overwhelmed, so they can look after their materials and maintain order. In any one area I've found 9-12 materials about right for an infant/toddler. We want to keep the child interested in their toys and materials. Often if the child isn't using a toy we can put it away for a couple of weeks and then get it out again and the child may have a renewed interest in it. It also prolongs the life of our toys and materials. For many families, there is a third reason and that is often they have too many toys to use at one time. Sometimes it's Christmas or birthday time, when the child is totally swamped with presents, rotating what is on the child's shelves means they all (or most) will get used and played with! Observe your child, while playing, while working. Make a mental note of what materials they are using, what they have mastered and what materials they are not using. Consider the materials the child is not using, are they age and developmentally appropriate? If not put them away. If they are, does the child need a lesson on how to use the material or could you use it together to spark an interest? If the child is lacking the skill to use the material is there another way of teaching or introducing that skill? Consider the materials the child is using, what is the next step, what is the next skill they will master, are there toys that we can order now to have when the child has mastered these? I am always thinking one step ahead of my child, so I have puzzles and a few toys put away ready to use in the next couple of months. Assess and rotate materials on the shelves every week. Often this is a quick tidy up or refresh and I might only rotate in or out one or two toys. At other times I might change 5-6 toys. I never rotate all of the toys at once. I don't always do it on the same day but I try to do this weekly. If I find Otto has stopped playing independently, is unsettled or lacking concentration, sometimes I will find that it's been too long since I have rotated his toys. Always keep out most used and favorite work. We've had some work stay on the shelf for 12 months or more. If the child is really into a toy, leave it on the shelf, only take it out of rotation when or if the child has lost interest. Keep out favourite materials even if you think they are 'too easy' for the child, your child may be enjoying the repetition in using the toy and they could still be building skills, coordination and concentration. Also rotate books, items in discovery baskets, nature trays, sometimes musical instruments in the music basket. I use the same principles, I rotate out what isn't being used and keep the favourites. With books, this often means rarely changing them or only rotating one or two books at a time. Rotate big toys, I apply the same principles to larger toys like our wheely bug and trike. Our Pikler arch, wooden barn and, ball tracker have always stayed out but I would consider rotating them if they weren't being used. Consider changing the location of toys if they aren't being used. I often move toys from Otto's play area (downstairs) to his bedroom (upstairs). While there are some materials I wouldn't put in his room, often moving them renews an interest. Try to keep the materials not being rotated in the same position, young children thrive on order and may find it distressing if their favourite toy has moved. Rotate toys while the child is present. This is personal and I haven't read much Montessori opinion on this. Other than we want the child to own their space, I don't want him to wake up one morning and find his whole play area changed. While Otto is sleeping I might get a few things out of the storage box but I do the actual rotation with him present. Remove any toys with missing or broken parts. This is more important than it sounds but we don't want our child to use the materials in a state of disrepair and if it is missing a part it may be missing the control of error. Clean the toys and materials weekly. While I am rotating toys I will often clean the toys staying on the shelves, usually this is a quick wipe over with a cloth. The shelves shown above and below are next to a window so may get dustier than your toys but they generally need cleaning (quick dust) every week. Consider rotating plants and artwork. This is also personal. Order is important to the child and some plants just have a favourite spot, but I like to occasionally rotate the plants and artwork in our children's spaces. Artwork, I would rotate no more often than monthly but at the moment it's really at the change of seasons. The wonderful thing about rotating toys is often the child will become deeply interested, and engaged with some of their old toys. It's a rewarding process where the end result is more concentrated play! New Toys and Materials 13 - 14 months old. Today I want to share some the new materials that Otto is using at 13 - 14 months old. He has only recently mastered materials like the peg board and the ring slide (so fun to watch!). Others like the ball push he could easily do months ago but now he is really enjoying the repetition and is using it more than ever. The trike is a fairly new addition (a hand-me-down from Otis). These puzzles are such a must for me, I love how they have real images, they are also great for language development. I wouldn't ordinarily buy the Mega Bloks but ours were a gift and Otto really likes them, I only put out a handful at a time, he is just learning how to connect them. The wallet and cards are a huge hit and would be easy to replicate! Other materials that are really popular right now include the Pikler Arch, Playsilks, Wooden Barn + Schleich Farm Animals, Music Basket and, Open-Close Basket. We are still using almost, of all the materials (on rotation) from Our Favourite Toys and Montessori Materials - at 12 months. Do you notice anything missing? Otto still isn't into ring/stacking toys, he can use them but chooses not to, so I've taken them out of rotation for now. Not every child is going to love all of the materials!